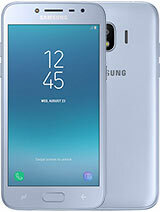 I have purchased galaxy e7 about two months ago and i loved it now yesterday i have purchased j2 for rough use purpose again i fall in love with samsung. Gold colour of j2 is just mesmerizing . one thing i like to share about myself that i,m a gadget lover man, two days ago i purchased micromax canvas juice2 believe me its a very bad experience . Back button was not worked properly cam is 8mp but lower aperture where as samsung 5mp is much better than micromax. 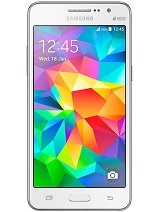 MY first smart phn was grand then i purchase core gt i8262, sony z2, m2 aqua dual . BELIEVE me no one can beat samsung with all aspect. And quite honestly about j2 after my first use there is no such a thing called network issue, i got 81 mb software update and after update all things run very smoothly, this hand set has very stylish premium design , charming display , fast , you can save your data by using ultra saving data mode,4g , latest exynos ram and many good things. good job samsung . I dont care about others opinion because its me ..
Dear last night i also updated my device with latest firware. And i strongly believed that after update network problem must be gone.. Sadly this did not happen. Samsung j2 borns with network problem and it also be discontinued with network issue. I think even samsung authority does not have solution for network issue in samsung j2. NOTE... THIS NETWORK ISSUE ONLY YOU WILL FIND IN LOW NETWORK AREA... IN STRONG FULL NETWORK AREA THIS MOBILE WORKS GOOD..
After update about 50 mb still samsung j2 not get rid of network issue. I am very very dissappointed after purchased this mobile. I love to purchase samsung mobiles but this mobile dissappoints me due to network issue. I lost many of my important calls as this mobile a shows emergency calls only even i tried every telecom company sim. This mobile would have been no 1 in its price category if it would have been got rid of network issue. what about j200h in egypt ? I was in call when entering lift, lift started moving and immediately call was disconnected due to signal lost, then I am able to call after coming out of the lift. 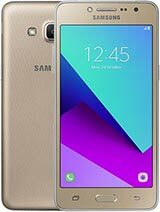 I didn't restart my device and samsung j2 mobile is working normal. My mobile network mode is "LTE/WCDMA/GSM(auto connect)" under mobile networks settings. I didn't change any of these settings and it is default one. I am using single sim. Whoever facing network issues, are you guys using mobile internet ON for 24/7? Dual sim or single sim? AnonD-436840, 13 Nov 2015after updated 50 mb update Network problem has solved. strong network Brother this mobile still has network issue.. i dnt knw how you saying this mobile has strong network. Senthil, 11 Nov 2015Hi guys, I am using this mobile from last Tuesday. I didn't face any issues so far. Though... moreNetwork problems how can I solve it. My papa has samsung j2 and he also facing network problem. When i sometime call to him then mobile comes out of reach. Then i contacted ro another no that he put in another device. Then he came to know that samsung j2 loss network then he restart his device. I also updated this device with latest update but my father now selling this mobile due to network issue. I am also facing network issue even after latest update released by samsung on 10/11/15. It still shows Not registered on network. Presently i am using two sim. Both of my sim sometimes show Not registered on Network. Then i have ro restart my device. After updating 50 mb still samsung j2 has network problem. Those who are saying after update sansung j2 has strong network. They are wrong.. samsung j2 has strong network already even after 1st day of launch. But in low network area it has network issue like once network goes down will not come automatically untill you restart your device. Once network you lost network then still full network bars shows but when you try to call then not registered on network comes. Even i also believed that after new update of 50 mb this issue will be solved but it still having same issue. Although i an samsung lover but I never recommend to anyone untill this issue exists. Anonymous, 13 Nov 2015dis mobile looks is gud n stylish bt network problem i m regrating bcoz i choose diswhich network? more reviews i read about j2 is network problem, it is correct? j2 is very bad in internet working. i can't use internet in my galaxy j2. AnonD-465207, 13 Nov 2015Hey guys, should I buy this phone or not? 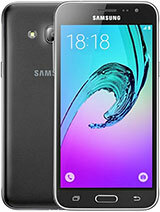 I read about the specs and i like it, but the commen... moreBest Smartphone released by samsung,the size, very very fast processor... 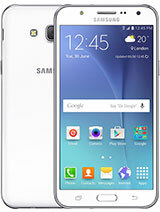 The SAMSUNG GALAXY J2!!! Hey guys, should I buy this phone or not? I read about the specs and i like it, but the comments about network issues made me uncertain. 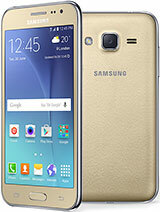 Total of 3921 user reviews and opinions for Samsung Galaxy J2.